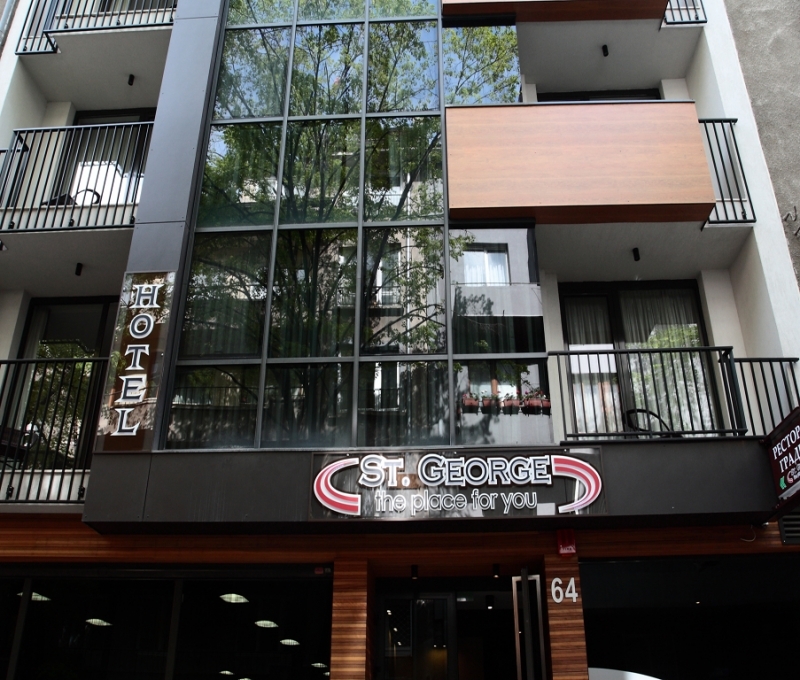 Location: St.George Hotel is located in the city center, few minutes away from the Government and state institutions, major banks and offices near the National Palace of Culture and the shopping boulevard Vitosha. It is located 15 minutes by car from Sofia airport. Hotel St. George is located at the foot of Vitosha Mountain where you can enjoy skiing (including a night ski slope) and hiking. Accommodation: 14 studios, 4 standard double /twin rooms and two suites. It has rooms for smokers and smoking. Food: The restaurant has 32 indoor seats, summer garden with 30 seats, allowing for relaxation and comfort. The rich cuisine and elegant style make the restaurant an attractive place in the actual center of Sofia. All above prices are in Euro and include buffet breakfast, insurance and all taxes & VAT.